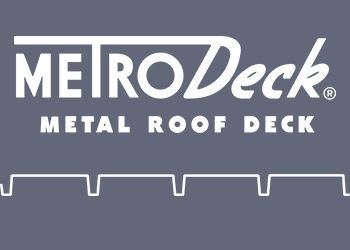 MetroDeck offers a high degree of adaptability through its wide variety of profiles. For commercial flat roof deck applications. 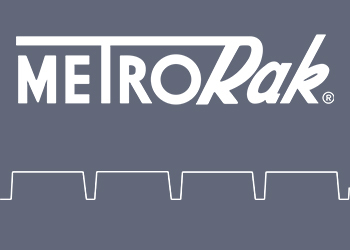 MetroRak is the only solid steel shelving panel fabricated to your beam manufacturer's exact specifications. 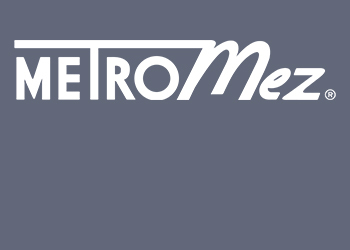 MetroDeck is ideally suited as an inexpensive and practical medium for mezzanine floors and in-plant offices. 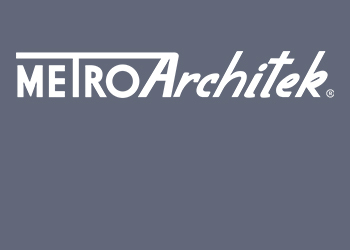 MetroDeck and MetroRak panels are uniquely suited to provide low cost and aesthetically pleasing wall coverings to furnish interior office walls. 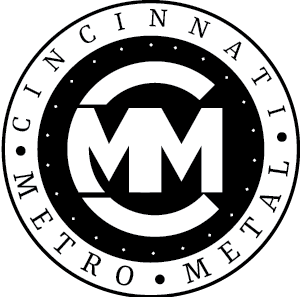 Contact us to learn more about Metal roofing, roof decks, sheet metal partitions and dividers, steel shelving and custom steel fabrication.